Win a taste of the Orchard County! 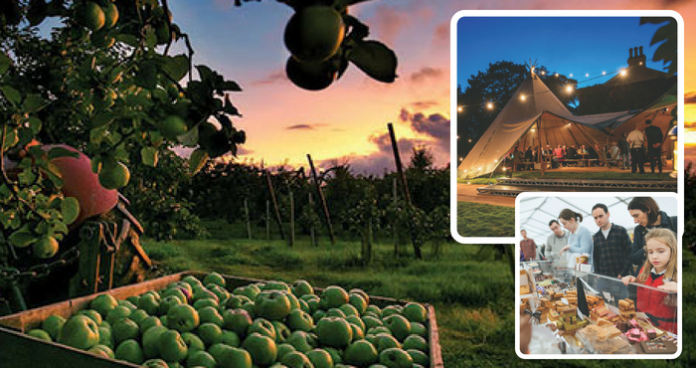 Armagh’s four-day Food and Cider Festival, from the 20th-23rd September, returns to showcase the world-class produce and award-winning hospitality and welcome of the Food Heartland and the Orchard County of Ireland. The festival schedule promises home-grown cooking talent, food, drink and entertainment. With a packed programme of unmissable events, ranging from intimate dinners in 17th-century barns to art classes under the apple trees. For more information see www.visitarmagh.com. To celebrate the Food and Cider Festival, Armagh City, Banbridge and Craigavon Borough Council are offering Easy Food readers the chance to win a bumper hamper of amazing Orchard County artisan delicacies and, of course, a selection of local ciders for you to enjoy at home. If all this talk of apples has made you peckish why not try this delicious recipe for apple and blackberry lattice pie here. Previous articleWin a case of Black Tower Rosé.